Located in the lively center of New Town, the Langhans Building is an elegant building with an interesting blend of history and sleek modernism that is complete with 24-hour security, reception desk, free Wi-Fi Internet and a lift. 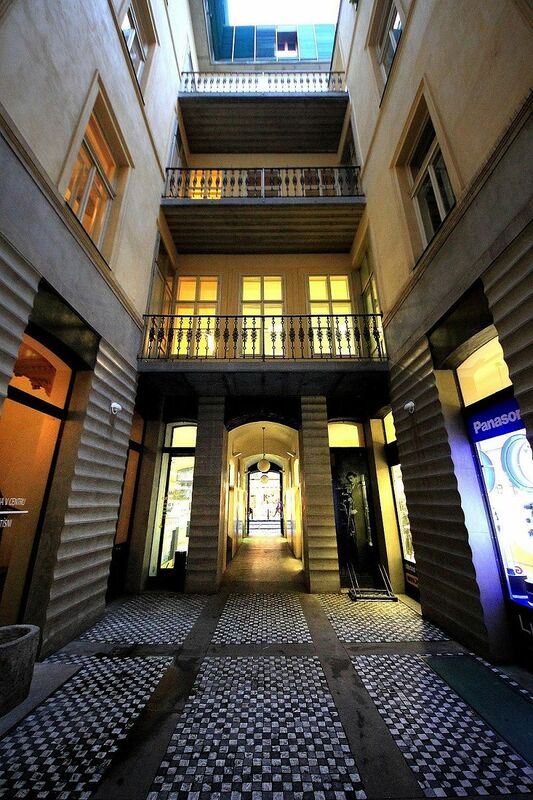 In 1880, the prosperous photographer and businessman Jan Langhans bought the building and opened a prestigious photography studio that captured images of everyday citizens and famous inhabitants of Prague from 1880 to 1948. 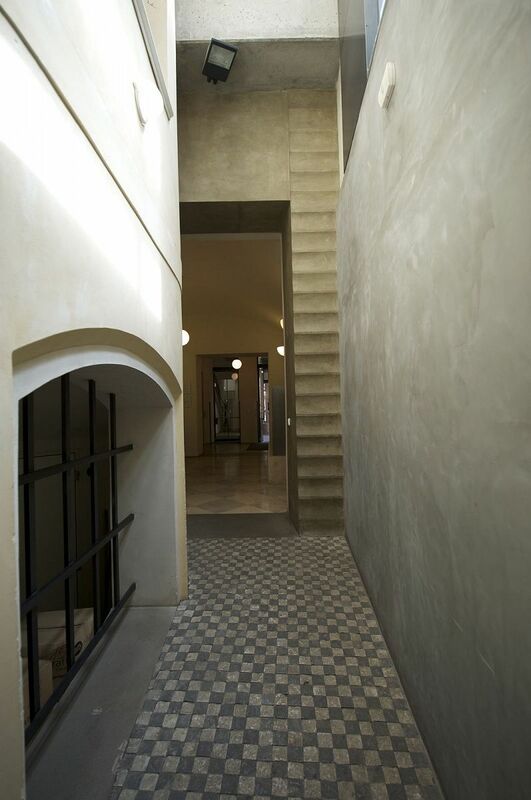 In 1991 the building was returned to the family, and a team of architects along with family members underwent the meticulous task of restoring the building to its former grandeur. 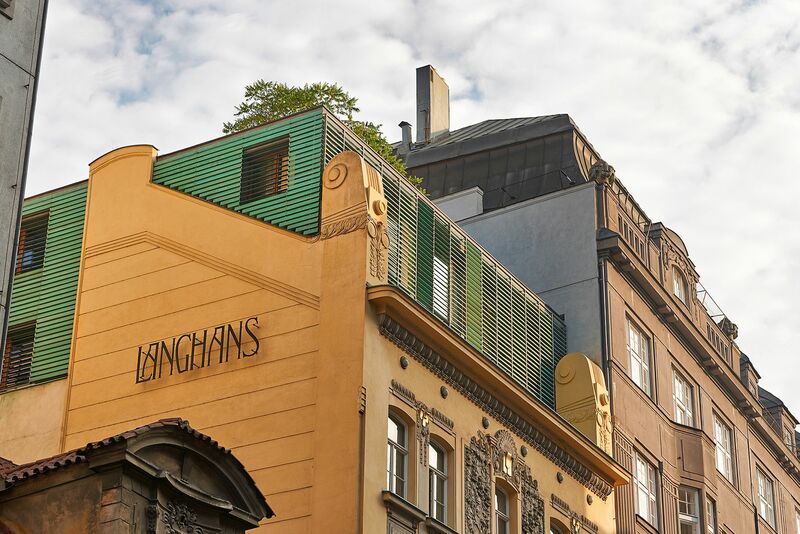 The ambitious project was successful; the great-granddaughter of Jan Langhans, Zuzana Meisnerova-Wismer established the Langhans Gallery Prague in 2003 and architect Ladislav Labus won the Building of the Year award. 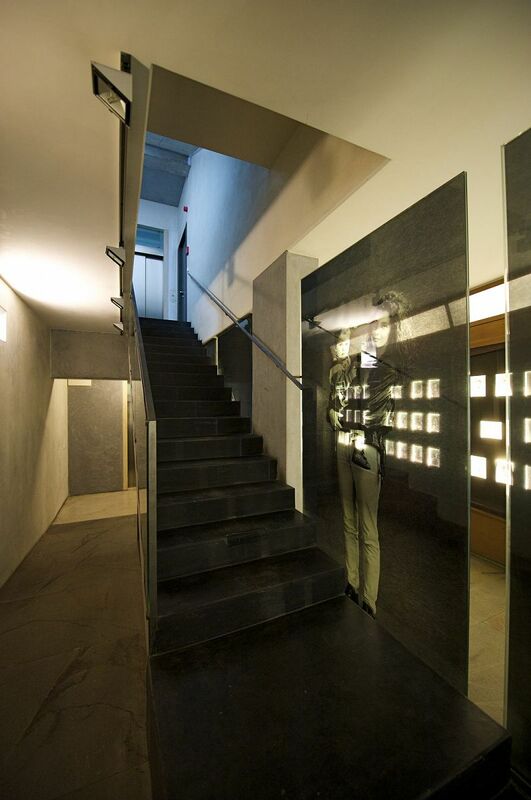 The building is an interesting blend of new architectural elements with the beauty of the past. 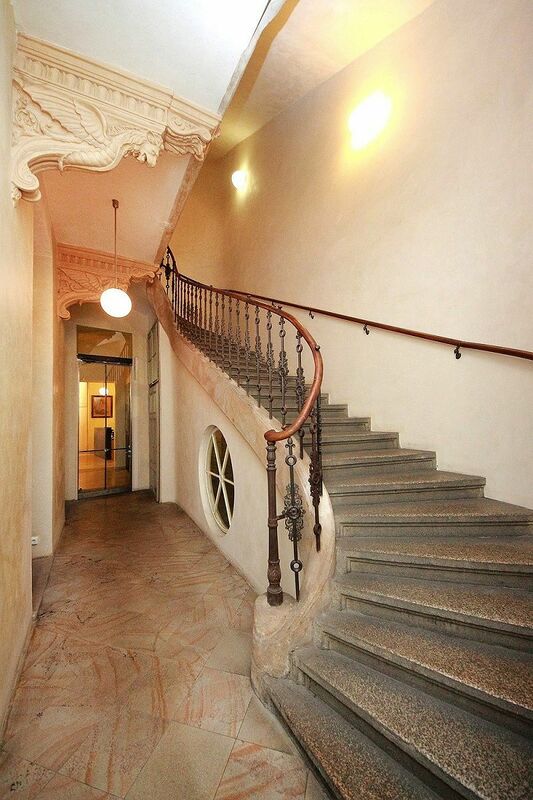 Located just off of Wenceslas Square, the Langhans Apartments are close to all major attractions, the Metro, and multiple tramlines. 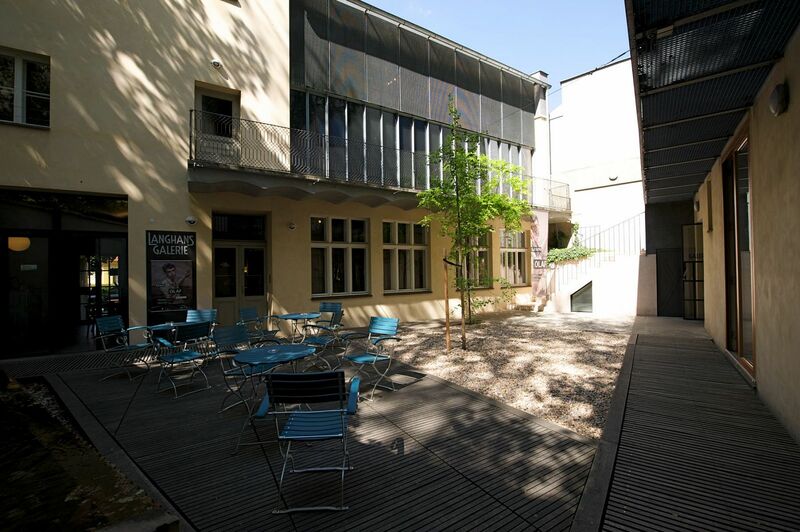 As it is in the center of town, it is also surrounded by cafes, fine dining, excellent shopping, museums, and much more. 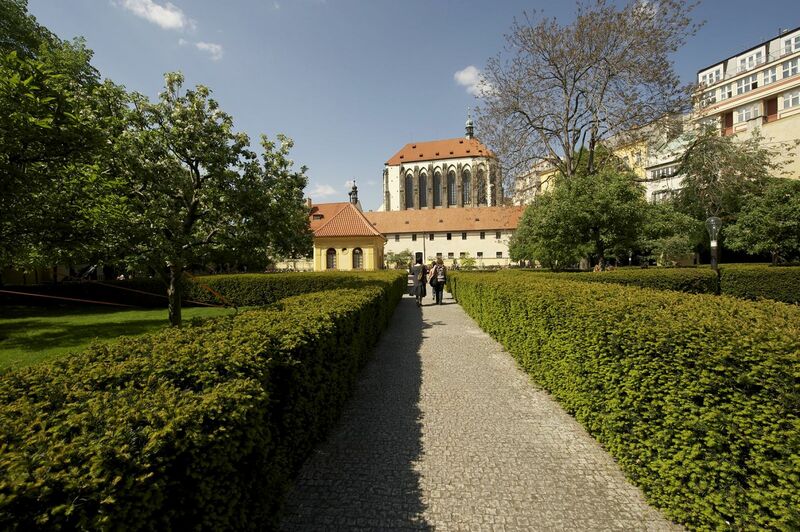 The back of the building faces the tranquil Franciscan Garden, which is a welcome haven in the bustling city of Prague. 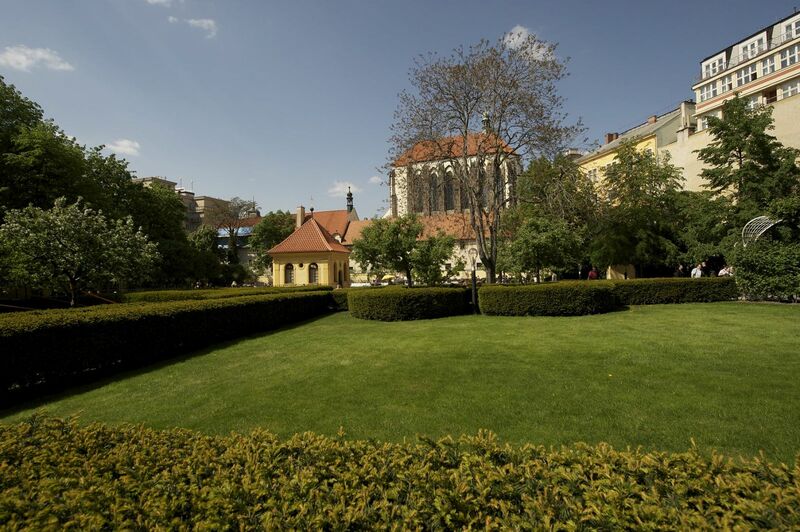 Some of the apartments face the garden, while others face Vodičkova Street, a New Town street with attractive Art Nouveau facades.